Mr. James Edison “Ed” Wooten age 61, passed away on Saturday, February 2, 2019 at McLeod Seacoast following an illness. Mr. Wooten was born on February 19, 1957 in Loris, SC, to the late, Bill Giles Wooten, Sr. and the late, Mary Faith Douglass Wooten. Mr. Wooten worked as a truck driver for most of his life, most recently with Powell’s Tire & Axle, and was a member of the Loris First Presbyterian Church. Survivors include his wife, Donna Ward Wooten of the home; two sons, Jeremy Wooten of Myrtle Beach, SC and Austin Wooten of Loris, SC; brother, Bill Giles Wooten, Jr. and wife, Del of Columbia, SC; sister, Carolyn Strickland of Nichols, SC; brother-in-law, Randy Duncan of Green Sea, SC, two sisters-in-law, Linda Johnson and husband, Darrell and Hayley Ward all of Spartanburg, SC as well as many loving nieces, nephews, and cherished extended family. In addition to his parents, Mr. Wooten was predeceased by his sister, Mary Douglass Wooten Duncan and his brother-in-law, Bert Strickland. Visitation will be held on Tuesday, February 5, 2019 from 5 until 7 PM at Hardwick Funeral Home. Funeral services will be held at 11:00 AM on Wednesday, February 6, 2019 at the Loris First Presbyterian Church with Pastor Dr. Tim Osment officiating. Committal services will follow at Twin City Memorial Gardens. 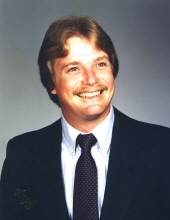 Please sign Mr. Wooten’s online guestbook at hardwickfuneralhome.com or call Hardwick Funeral Home at 843-756-7001 for further information. To plant a tree in memory of James "Ed" Wooten, please visit our Tribute Store. "Email Address" would like to share the life celebration of James "Ed" Wooten. Click on the "link" to go to share a favorite memory or leave a condolence message for the family.